Every year, tens of thousands of people – from all over the world – become interested in the life work of one ordinary man. He was an average individual in most respects: a loving husband, a father of two children, an eager gardener, a devoted Sunday school teacher, and a skilled photographer. Yet, throughout his life, he also displayed one of the most remarkable psychic talents of all time. His name was Edgar Cayce. Daily for over forty years of his adult life, Cayce would lie down on a couch with his hands folded over his stomach and allow himself to enter a self-induced sleep state. Then, provided with the name and location of an individual – anywhere in the world – he would speak in a normal voice and give answers to any questions about that person that he was asked. These answers, which are called readings, were written down by a stenographer who kept one copy on file and sent another to the person who had requested the information. Today, on file at the library of the Association for Research and Enlightenment, Inc., in Virginia Beach, Virginia, there are copies of more than 14,000 of Edgar Cayce’s readings. These are available to the public and have been filed along with any follow-up reports received from individuals who had asked for the readings. This material represents the most massive collection of psychic information ever obtained from a single source. Edgar Cayce was born near Hopkinsville, Kentucky, on March 18, 1877, one of five children, surrounded by a large family with grandparents, uncles, aunts, and cousins living nearby. He had a lifelong interest in the Bible, and even as a child his dream was to become a medical missionary. At the age of six or seven, he told his parents that he could sometimes see visions, occasionally talking to relatives who had recently died. For the most part, his family attributed these experiences to his overactive imagination and paid little attention to them. He found comfort in reading the Bible and decided to read it through from cover to cover, once for every year of his life. At the age of 13 he claimed to have had a vision which would influence him for the rest of his life: a beautiful woman had appeared to him and he told her that, more than anything, he wanted to help others – especially children when they were sick. Shortly after the experience Edgar displayed the talent of sleeping on his schoolbooks and repeating, word for word, any length of material – even if it contained words far beyond his limited education. At the age of 16 he moved with his family to Hopkinsville and got a job – first, at a dry goods firm and later at a bookstore. While working at the bookstore on Main Street, he met and fell in love with a young woman named Gertrude Evans. They became engaged four days before his twentieth birthday, and decided they would marry when he was financially able to support a family. He moved to Louisville to find a better paying job and became a traveling salesman. He sold stationery and insurance at the turn of the century, and he became confident that it wouldn’t be long before he could afford to get married. However, at the age of 23, after taking a sedative, he developed a severe case of laryngitis. He wasn’t really concerned at first but the condition persisted. Doctors were called and later, specialists, but still Edgar was unable to speak above a whisper. As the days turned into weeks, he was forced to give up his job as a salesman and look for something that didn’t require much speaking. He found the perfect job in Hopkinsville as a photographer’s assistant. There he could be close to Gertrude and his family. At this time, hypnotism and stage shows were experiencing a renewed revival in this country. One showman, who called himself “Hart – the Laugh Man,” brought his comedy and hypnotism act to the Hopkinsville Opera House. 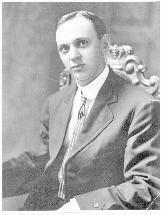 Edgar Cayce happened to attend the show and was volunteered as one of Hart’s subjects. Unfortunately, it turned out that Edgar was one of those people who couldn’t be hypnotized, but he offered to put himself to sleep – much as he had done when he had slept on his schoolbooks. While Cayce was in his self-induced sleep state, he could respond to questions in his normal voice while in the trance state. However, he didn’t take the post-hypnotic suggestion, and his laryngitis returned when Hart awakened him. The local papers became excited about the case. His parents, however, were concerned. Ever since the first experiment with Hart, their son had lost weight. It appeared as though putting himself to sleep was a drain on his physical body. The next time hypnotism was suggested, a local man was found to give the suggestions. Al Layne had educated himself. Not only had he worked with hypnotism, but he was familiar with osteopathy as well. The text he tried was quite simple: as before, Edgar put himself to sleep, only this time, instead of suggesting that the young man’s voice return, Layne asked Cayce to explain what was wrong with him and how he could be cured. While asleep on the couch, Edgar described the cause as a “psychological condition producing a physical effect.” The problem could be removed by suggesting to him – while he was in the unconscious state – that the blood circulation increase in the affected areas. Layne made the suggestion, and he and Cayce’s family watched in amazement as the upper part of Edgar’s chest and throat turned a bright crimson red and the skin became warm to the touch. After the suggestion was made that the blood circulation return to normal, and Cayce was awakened, he was able to speak normally again. The laryngitis had lasted nearly an entire year. The date, March 31, 1901, marked the first time Edgar Cayce had ever given a reading. He had no intentions of putting himself into the sleep state again, but Al Layne had witnessed something extraordinary and had other ideas. For years, Layne had been bothered by a stomach difficulty that doctors had been unable to cure. He convinced Edgar to try giving a reading on the stomach problem. With a great deal of reluctance, Edgar finally agreed. Asleep on the couch, Cayce spoke in a normal voice and recommended herbal medicines, foods, and exercises for improvement. After following the sleeping Cayce’s suggestions for one week, Layne felt so much better that he became even more excited about Edgar’s ability. He convinced Cayce that the talent was not to be overlooked, and he strongly encouraged him to try other tests. Edgar Cayce felt as if he had been placed in a precarious position. On the one hand, this business of readings was very strange to him. He knew nothing about medicine or the diagnosing of illness. Yet Layne argued that he had a moral obligation if his talent could be helpful to people. Finally, after a great deal of prayer, after talking it over with his family, and after looking to his Bible for guidance, he agreed to continue the experiments under the condition that if he ever suggested anything in the sleep state that could be at all harmful to people, he would stop the readings. One of the earliest readings was for a five-year-old named Aime Dietrich, who had been seriously ill for three years. At the age of two, after an attack of influenza – which doctors then called the grippe – her mind had stopped developing beyond that of a two-year-old. Since that time her tiny body had been racked with convulsions. Her mind was a blank, and though doctors and specialists had been consulted, she continued to worsen. Layne conducted the reading. The sleeping Cayce said that Aime’s problem had begun a few days before catching the grippe – she had fallen and injured her spine while getting down from a carriage. The influenza germs had settled in her spine because of the trauma, and the convulsions had begun. The little girl’s mother verified the accident. While still sleeping, Edgar Cayce recommended some osteopathic adjustments that were to be carried out by Layne. Layne made the adjustments on the little girl’s spine and got a check reading. The sleeping Cayce told Layne he hadn’t done them correctly and gave further instructions! After several attempts, Layne was able to carry out the suggestions to the exact specifications of the sleeping photographer. Several days later, Aime recognized a doll she had played with as a child and called it by name. As the weeks passed, her mind recognized other things as well and finally the convulsions stopped completely. Within three months, Aime became a normal, healthy, five-year-old girl. It was soon discovered that Cayce only needed the name and location of an individual to be able to give a reading, diagnose the person’s condition, and outline a regimen of treatment. Cayce continued giving readings without charge, while Layne conducted. 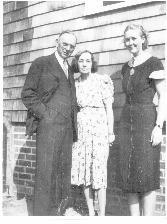 In 1903, after an engagement of more than six years, Gertrude Evans and Edgar Cayce were finally married. In spite of being uncomfortable with the readings, his life was fulfilling. He had a loving wife, a home, a Sunday school class at the local church, and a good job. A year later he formed his own photographic partnership and was able to open a studio. Meanwhile, a Dr. Wesley Ketchum had recently diagnosed himself as having appendicitis, and he wanted to have a reading to see if Cayce would be able to discern this. However, while asleep, Cayce gave an entirely different diagnosis and outlined a simple treatment. In order to humor the young man, Dr. Ketchum went to another doctor for a third opinion and discovered that Cayce’s diagnosis was indeed correct. Wesley Ketchum used Cayce’s psychic talent in over 100 of his most difficult cases. In one instance, a wealthy construction supervisor, severely fractured his leg and kneecap in an accident. Several doctors in town said that they could set the leg, but because the kneecap was damaged beyond repair, he would never walk again. Not satisfied with their reports, Dalton consulted Dr. Ketchum. Cayce gave a reading and recommended what was an extremely radical treatment for 1905: Ketchum was to drive several nails into the kneecap to hold it is place while the leg healed. The procedure was unheard of at the time, but Dr. Ketchum, trusting in Cayce, carried it out. The surgery was performed, and several months later Dalton was up and walking around as though the accident had never occurred. Because the requests for readings continued to grow, Cayce formed a partnership with his father and Dr. Ketchum and began to give readings on a daily basis. He became known as a psychic diagnostician. At the same time, he opened his own photographic studio and spent most of each day inside the “Cayce Art Studio” taking pictures before handling the requests for readings. Cayce and Gertrude had had their first son, Hugh Lynn, in 1907. In 1911, Gertrude gave birth to their second son, whom they named Milton Porter. Soon after his birth, the baby developed whooping cough and later on colitis. Several doctors were consulted, but the baby continued to get worse. Cayce never really thought about consulting the readings until the doctors had given up hope. As a last resort, Cayce gave a reading for his second son. The readings offered no hope, and the baby died before it was two months old. Cayce and his wife went into a state of depression. He blamed himself for not getting a reading sooner – perhaps it might have helped; now he would never know. Gertrude became weak after the baby’s death, and the doctor thought she had contracted pleurisy. As the months passed, the illness hung on, and she showed no signs of improvement. In fact, she was getting worse and was eventually confined to bed. By late summer, Gertrude’s doctor had changed his diagnosis. He called Cayce aside and told him that Gertrude had tuberculosis and was dying. Everyone expected her to die by the end of the year except her husband, who decided to give a reading. While in the sleep state Edgar Cayce recommended a combination of prescription drugs as well as filling a charred oak keg with apple brandy. Gertrude was to inhale the fumes to clear up the congestion. Although the doctors claimed that the combination of drugs would be useless, Dr. Ketchum wrote the prescription. After following this treatment for only two days Gertrude felt better and her fever left. By November even her doctors decided she was going to get well. By January of 1912, Gertrude Cayce was almost fully recovered. That same year Edgar Cayce was investigated by Harvard University and was able to demonstrate the legitimacy and the effectiveness of the readings. He moved his family to Selma, Alabama opened a photography studio and began to live a quite life. However, one day his son, Hugh Lynn, severely burned his eyes while playing with flash powder in his father’s studio. The local doctors recommended removing one of the eyes because of the extent of the damage. The son asked his father for a reading. In the sleep state Cayce gave assurance that sight was not gone. He recommended an additional compound be added to the solution that had been prescribed by the doctors and said Hugh Lynn’s eyes should be kept bandaged for two weeks. No eye surgery was performed, and when the bandages were removed, the boy could see. Local newspapers picked up the story and again, Edgar Cayce’s fame grew. As the requests for readings continued, Edgar Cayce was faced another problem. Although people were being helped by the readings, many found it difficult to have their doctors carry out treatments recommended by a sleeping man they had never even met – a man who, in many instances, had never seen the people he was diagnosing. Cayce thought the solution was having his own hospital, staffed with fully qualified doctors, nurses, and therapist, who would carry out the treatments recommended in the readings. Now, he hired a secretary, Gladys Davis, to take down the information in the readings while Gertrude asked her sleeping husband the questions. Until 1923 most of Cayce’s readings were limited to medicine. However, that year a wealthy printer from Dayton, who had obtained successful readings for two of his nieces, asked the sleeping Cayce for a horoscope reading. Toward the end of the reading [5717-1] Cayce spoke the curious sentence: “he was once a monk.” That statement opened up the door to a whole new area of research – the possibility of reincarnation. All at once, Cayce was faced with a new dilemma. There wasn’t any doubt that the information was helpful and accurate when dealing with health, but the readings matter-of-fact reference to reincarnation seemed foreign to his fundamental Christianity. He prayed about it, did much soul searching, and obtained a few readings. Edgar Cayce found that the concept of reincarnation was not incompatible with any religion. Soon afterwards, the “life” reading developed. It dealt with an individual’s previous lifetimes, as well as the person’s potential for this lifetime. Because of the helpfulness of the readings, several backers were found to make Cayce’s dream of a hospital a reality. One group wanted to locate the facility in Chicago, another wanted it to be in Dayton. However, time and again, the readings advised that the hospital be located in or near Virginia Beach, Virginia. Finally, a New York businessman agreed to finance the project, and in 1925 the Cayce family moved with Gladys Davis to Virginia Beach. In 1928 the Edgar Cayce hospital opened its doors. Until 1931 the hospital operated successfully. However, in the midst of the Depression, financial backing was lost. In this turmoil, Cayce incorporated the Association for Research and Enlightenment, Inc., [A.R.E. ], that was to serve as a research body to investigate the information given by Cayce in the readings. The organization survived, the hospital did not. As the years passed, Cayce became more and more psychic in the waking state as well as in his sleep state. He once fled from a room in sorrow because he knew that three young men would not be returning from the war. He had also developed the ability to see auras, which are fields of light that surround all living things. From these auras Cayce could perceive people’s moods as well as their overall physical condition. In the spring of 1944, Edgar began to grow weak. His own readings advised him to rest, but he felt a tremendous obligation to those asking for his help. Finally, he collapsed from sheer exhaustion, and just as he gave his first reading for himself, he gave his last reading for himself – in September of 1944. The reading told him he had to rest. When Gertrude asked “How long?” the response was “until he was well, or dead.” Shortly afterwards, he had a stroke and became partially paralyzed. He died on January 3, 1945. At the time, no one really understood how ill Gertrude was, yet within three months, on Easter Sunday, she died as well. Gladys Davis took it upon herself to preserve the information she had taken such great pains to write down, until Edgar’s sons returned from the war. Eventually, Hugh Lynn took over the organization his father had started and was able to encourage interest in the information his father left behind all over the world. When Hugh Lynn died, in 1982, the Association had grown from a few hundred members into one composed of tens of thousands. Gladys finished indexing the readings in 1971, more than a quarter century after Cayce had died! After the indexing, she discovered that the readings covered more than 10,000 different subjects – nearly every question imaginable had been asked. She continued working as secretary for the Board of Trustees of the Cayce organizations until her death, at the age of 81, in 1986. Previous postWhere Have You Gone Tanya Pointer?